November 14th. The malls are decked out in Christmas Decor, the stores are fully stocked and the count down to Christmas has begun. It's the most wonderful time of the year! My holiday DIY list is long (thank-you Pinterest) and I have hopes of doing some amazing Christmas projects. Of course, I will not accomplish them all, that is the way life goes. Finding enough DIY time is only half the battle. Finding the budget can be the other half. The 2016 Stampin' Up! Holiday catalogue is bursting with amazing new seasonal product. My wish list is $100's of dollars long! Thankfully, being on the Stampin' Up! Artisan Design Team I receive a lot of these products and therefore have only had purchase a few of my favorite, must have, items. So what do you do if you do not have a large Christmas Stampin' budget or aren't on the Artisan Design Team? I wanted to challenge myself this week to create a card using "non-Christmas" products to show you that you can change your everyday products into a Christmas card. As I looked through my stack of Designer Series Paper I started to see many patterns and colors that could be used with a Christmas twist! I used the Affectionately Yours Specialty Designer Series Paper. I think that the flowers look poinsettia's! Most Stampin' Up! stamp sets have phrases and so many of them can make great Christmas greetings! Like "with love" or " dropping by to say hi" or "oh happy day". 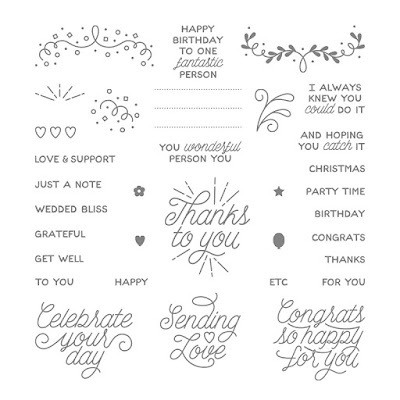 Stamping these with some traditional Christmas colors can change the feeling and occasion. Stampin' Up! offers a few stamp sets in the annual catalogue that are "all occasion". Teeny Tiny Wishes, for example, has a variety of 24 different greetings for all seasons and occasions. The Designer Tin of Cards stamp set is another example. 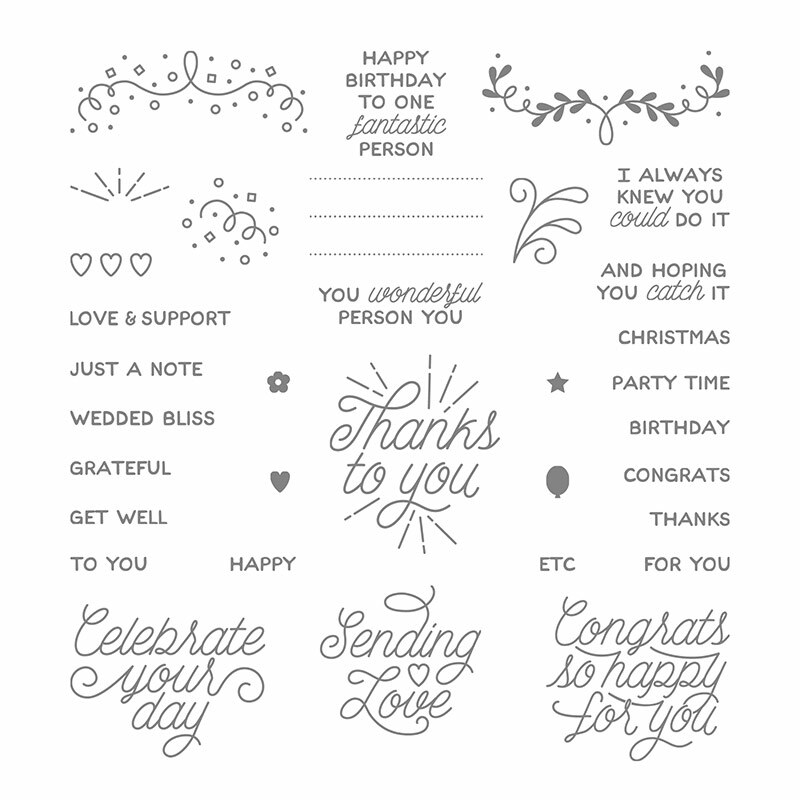 Both of these are a great value as you can use one stamp set for dozens of different occasion cards. I broke the rules a little bit when it came to my Big Shot Framelits. I used the square from new Stitched Shapes Framelits. You really could use any shape from for this greeting and the layers behind it. I was determined to use squares because I am posting this card for the Global Design Project Layout Challenge GDP062. I also added a detailed die cut layer behind the greeting that I cut with Copper Foil sheets and the Cheerful Tags Framelits Dies. I just looked so beautiful and I could not resist sneaking it in there! Visit the GDP this week and see what the design team has created with the GDP062 layout (I have peeked and they are amazing). 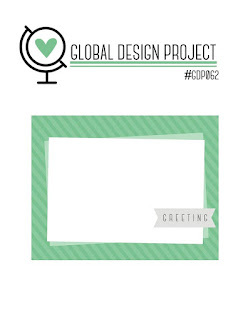 Over at the GDP and you will also see cards that followers from around the world are creating and sharing. You are welcome to join the fun anytime! Challenge entry details are found over at the GDP. Thank-you for visiting everyone! Have a wonderful, creative week!